So, you’ve signed up for your first ultra-marathon. You’re probably wondering a lot of things: What should I expect? 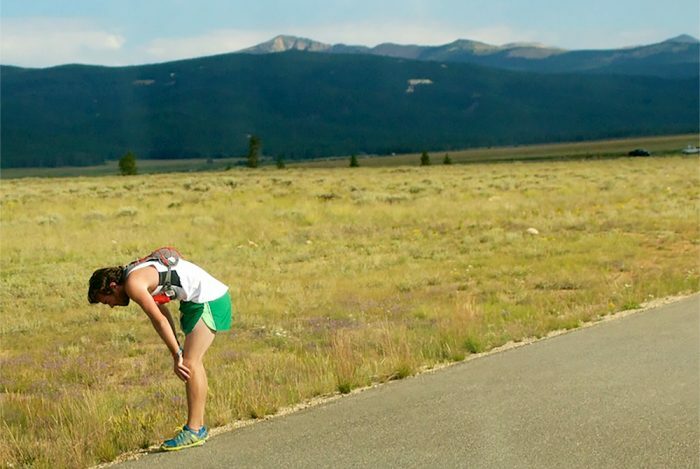 What’s it like to run 50 miles? 100K? 100 miles? 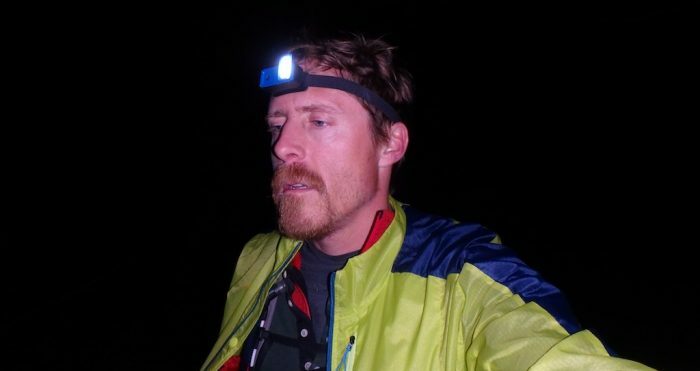 I’ve run a handful of ultra-marathons, and while I’m far from the most experienced guy on the starting line, I’ve noted some common threads from races and conversations with many runners. A couple days before a big ultra, there may be some funny churning in your gut. You’ll be asking yourself “Am I insane?” Of course, friends and family also asking you if you’re insane won’t help. GO! 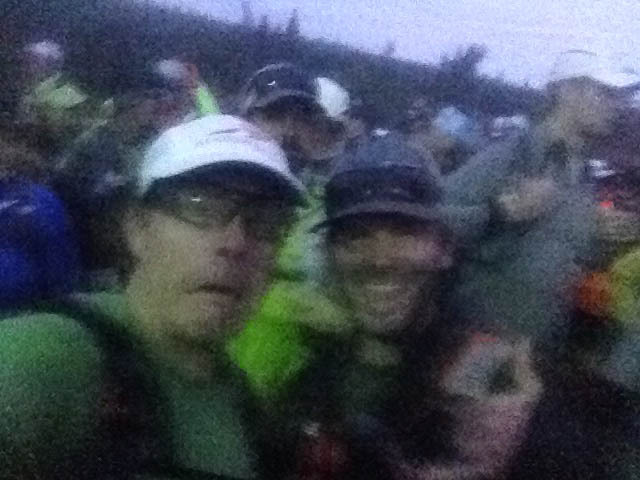 The field of runners surges into the morning gloom, headlamps blazing. All the anticipation washes away, and you are running. Running! Cool air flows over your skin and the earth zips by. The pack moves fast – probably faster than you want – but you don’t care. All is right in the world, and the sun is about to rise. I’m pretty sure this is different for every race, and for every runner. But for me, it’s been consistently about five miles in when I realize I’m running WAY TOO FAST! Caught up in the excitement of the race, it’s easy to blow out of the gate hot. But then that first monster climb, or false flat, or rocky single track pops up, and you catch yourself breathing really hard. Reality check! Get that pace under control. There is still a LONG way to go. The first aid station in an ultra always seems rushed. Nobody dawdles, as everyone still feels good. But it’s here that I tend to take note that, yes, I’m in this all day. Food is important! Pack in some calories! And here you’ll hopefully notice (and fix) any gear problems you’ve thus far ignored, like chafing straps or a small rock in your shoe. Left unattended, tiny things grow into a race-ending injury over the many miles ahead. Somewhere after that first aid station, you will likely accept the fact that you have a very long day ahead. Your feet might give you that first twinge of pain. You might realize you’ve sucked down an entire bladder of water and refilled it once already. The sun may have climbed high into the sky. You’ve resigned yourself to the effort, and you’re ready to slug it out. Those very words have rolled through my mind at some point in every ultra, and for me, it’s usually around mile 30. 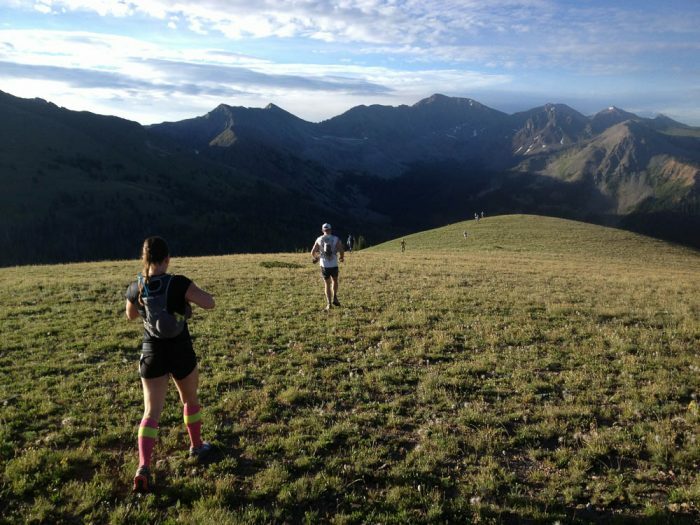 For races longer than 50 miles, the 30 mile point can be make or break, and it’s a tempting place to give up. Things will probably really start to hurt now, and you still have a long way to go. 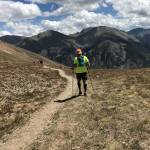 Pain deep in the TransRockies Run. 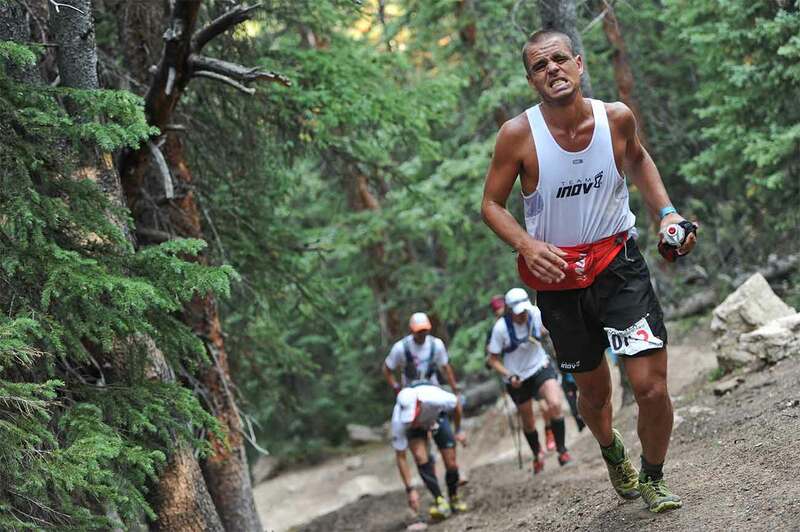 The mental game of ultra-marathon is a monster. 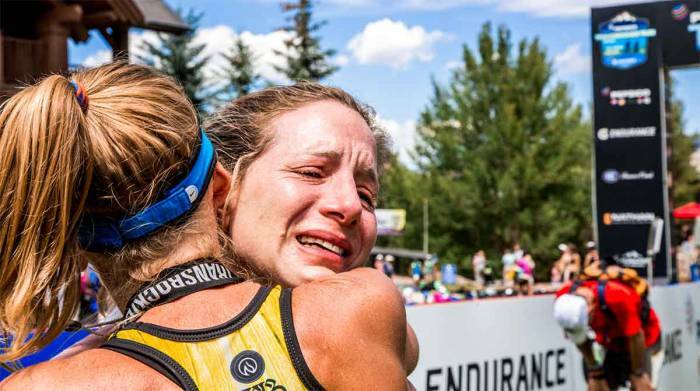 When running and suffering for 12, 15, 24… shoot, 48 hours or more, it’s easy to let things snowball. You will make deals with yourself, like “I’ll just get to the next aid station,” or “if I can get to the top of this climb, I can stop and walk slowly for a few minutes.” It seems inevitable, you’ll make yourself a lot of deals as things start to hurt. Hopefully, they will propel you forward, and not toward a DNF. The halfway point is a big deal. It will mess with your psyche. Yay! I’m halfway there! Boo! I’m only halfway there! Most non-elite runners have a bit of built in “safety valve” in which they allow themselves the (possibly remote) chance of quitting if things get too rough. But at some point, you’ll close that valve, shutting off the possibility of quitting and resigning yourself to finish “no matter what.” And you will, barring race-ending injury. I usually get here at about the two-thirds point in the race. I won’t go so far as calling it “enlightenment,” but usually, somewhere in the darkness of the pain cave, you will discover some really amazing things about yourself. Maybe day will have passed into night and the stars are twinkling. You may be alone on the trail, and a mountain view will simply take your breath away. You’ll understand your place on the planet, and in the universe, just a little better. And you’ll know. This is why you run ultras. You’ve had some ups. You’ve had some downs. You’re getting pretty near the end of the race. But JEEZ WILL THIS EVER END? You just want to get done at this point, but there’s still, say, a half marathon of running left in front of you. Shuffle on, and try to get back to that realization stuff. You’re not done yet. You’re getting so close you can smell it! You pick up the pace. Your dream trail food – pizza, ice cream, burritos – looms large in your brain. A shower and cold beer and bed! Yes, yes, and yes! Soon enough you’ll be hugging a loved one and plopping down in a chair. A CHAIR! Man, the simple things in life. Rock it out now, ’cause you’re almost home. The finish line comes in a blur. If it’s a long ultra, it’s probably night. The lights will shock you a bit. You might feel some tears coming on. Why now?! WTF? The relief is overwhelming. Then you find a seat for a moment. Start bandaging your wounds. Talk a little with other finishers, your family, pacer, crew. Eat if you can, drink too. You’re body is in shock, likely shivering too much. Put on lots of clothes, and get ready for some weird sleep. You’ve done it. The race is over, but the journey is far from complete. Author’s Note: Ultra-marathons generally require a massive effort from hundreds of volunteers, race crews, land managers, and first responders. I’m remiss not to say “thank you” to all those involved in hosting and making races successful, without whom they would not be possible. Thank you.